Badlapur constitutes of 4 small villages, i.e. Katrap, Kulgaon, Badlapur and Manjarli. There are several reasons why Badlapur is becoming the preferred choice and the most recommended option when it comes to investments and properties. Nature lovers prefer coming to Badlapur for its scenic beauty around itself with greenery, waterfalls, hilly regions, etc. Badlapur is also a popular weekend getaway and picnic spot for the people of Mumbai. With quiet and peaceful surroundings and comparatively cooler temperatures, there is no second guess as to why the people also love to settle here. Its proximity to Mumbai gives the people another reason to settle within Badlapur permanently. With flawless connectivity in terms of both roadways and railways, the commute is quick and smooth. The Badlapur road is connected to Thane from one side along with the Mumbai Pune Expressway at another side. The Neral-Badlapur road will trigger an exclusive transit system between Kalyan and Karjat. Some of the roadways are under development, the gateway to Khopoli being an example. The town is divided into the Eastern and Western region as the railway line runs in between it. The nearest railway station of Kalyan serves as a junction, connecting it to many major cities across India. Badlapur lies along the central line of Mumbai suburban railways. Stations like Thane and Dadar are located within a 40 kms radius from Badlapur station. Badlapur is about 50 kms away from the international airport and about 30 kms away from the Proposed Navi Mumbai airport. Badlapur East has excellent connectivity through NT buses as well. The smooth connectivity has played an important role in the elevating Badlapur’s real estate scenario. The Monorail has been proposed by the RDA authorities that will connect from Badlapur to Bhiwandi and Thane or Kalyan to Badlapur. Badlapur has a well developed social infrastructure. Reputed schools and round the clock medical facilities make the town a preferred choice. It is one of the best locations that meets the criterions of a budget, proving the perfect locality, basic amenities and an evergreen environment. People are also moving to Badlapur for employment opportunities as it is home to all types of companies and banks. Badlapur has huge land parcels and a steady pipeline of projects. Both East and West Badlapur offers affordable home options as well as properties that are well planned and well designed. With the transformation of the skyline of the town, it is sure to give opportunities for better returns in future. 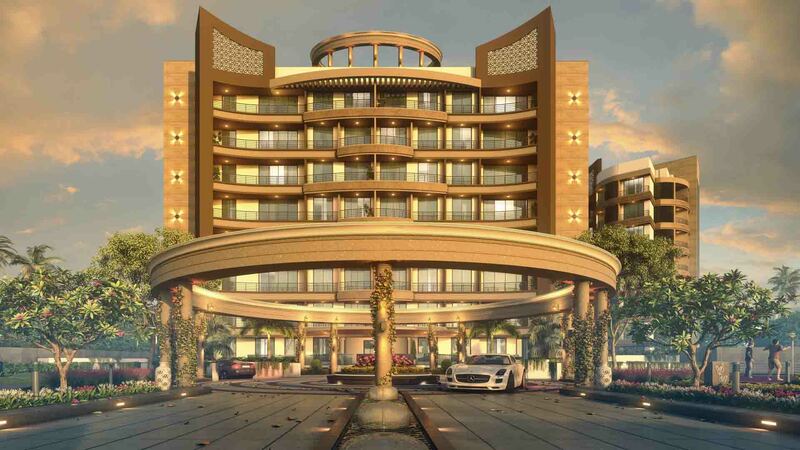 One of the plush club residencies present within Badlapur is offered by Tulsi Estates. Tulsi Signature offers 2, 3, and 4BHK quality homes and has only 112 limited edition club residences. It offers a community and a lifestyle that is chic and sophisticated, yet ultimately secure and comfortable. You will find yourself part of a nurturing community; a private paradise that you will be happy to reside in. The architecture is grand and every minute detail has been taken care of. Tulsi Signature defines your taste and style in its finest masterpiece.